Instantly downloadable sheet music by Bernard de la Monnoye for piano solo of MEDIUM skill level. Instantly downloadable sheet music by Lee Mendelson for piano solo of EASY skill level. 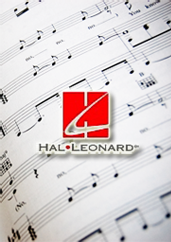 Instantly downloadable sheet music by Lee Mendelson for piano solo of MEDIUM skill level. Instantly downloadable sheet music by Leslie Bricusse for piano solo of MEDIUM skill level. Alle Notenausgaben von Christmas Children zum Herunterladen bei VirtualSheetMusic. Instantly downloadable sheet music by Oakley Haldeman for piano solo of MEDIUM skill level. Instantly downloadable sheet music by Rowland Prichard for piano solo of MEDIUM skill level. Instantly downloadable sheet music by Frederick Oakeley for piano solo of EASY skill level. Instantly downloadable sheet music by Lewis Redner for piano solo of EASY skill level. Instantly downloadable sheet music by Stuart Hamblen for piano solo of MEDIUM skill level. Alle Notenausgaben von It Is No Secret (What God Can Do) zum Herunterladen bei VirtualSheetMusic. Alle Noten von Stuart Hamblen zum Herunterladen bei VirtualSheetMusic.